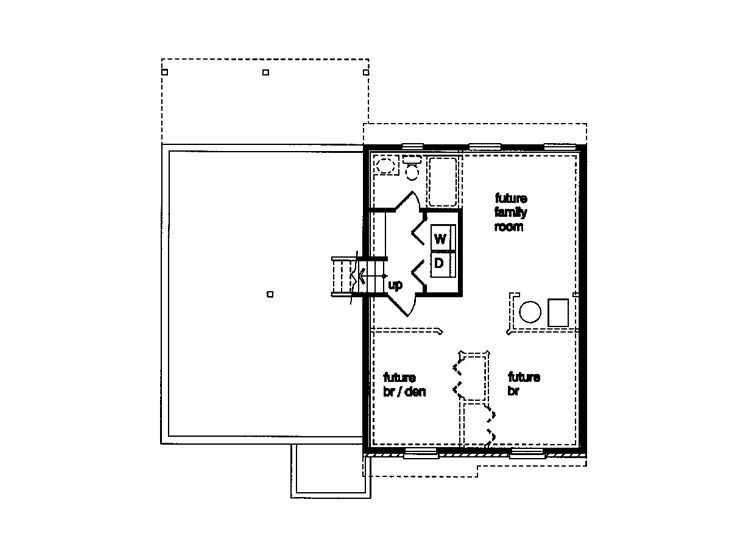 First Floor 1215 sq. ft. Depth 34 ft. 2 in. 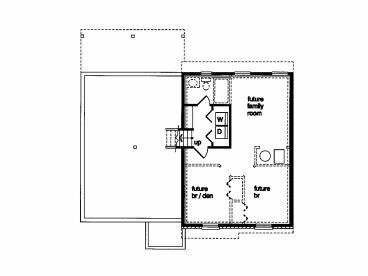 Capture the essence of family living with this small and affordable home plan. 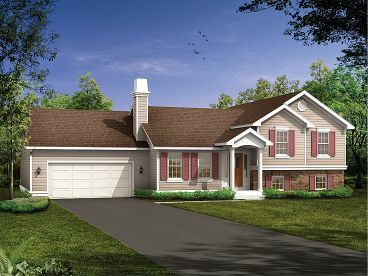 Appearing as a ranch design, this spilt level offers all the main living areas on the entry level. 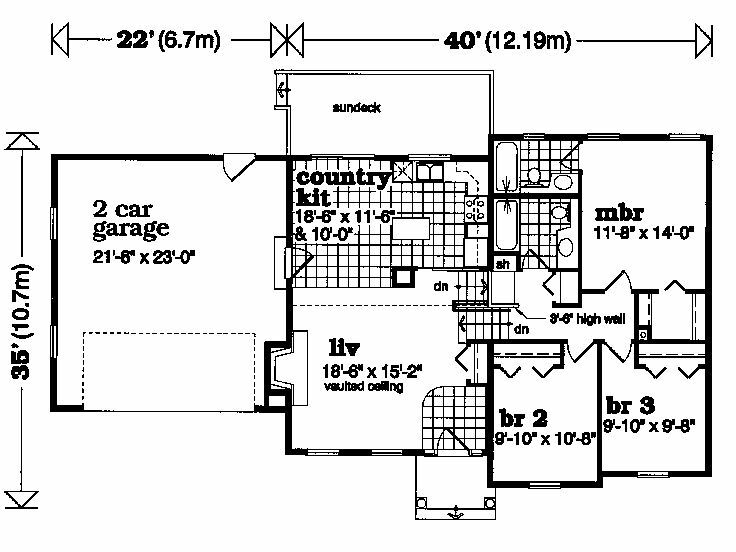 Step inside to find a vaulted living room warmed by a fireplace. Beyond, the country kitchen features a work island and opens to the sundeck in back. The children’s bedrooms share a hall bath while the master bedroom offers a walk-in closet and private bath. 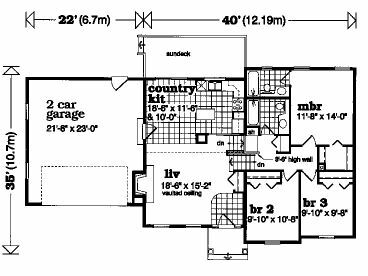 There is plenty of room to grow with space for a future family room, two more bedrooms and another bath on the unfinished lower level. 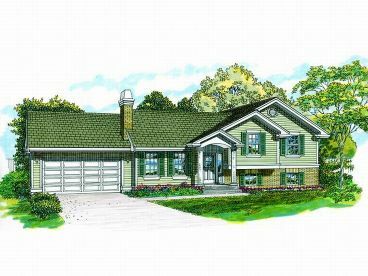 Complete with a 2-car garage, this ranch design is an ideal starter home.